Playing in The Yard — A.B.L.E. After the success of our 2016 production Twelfth Night, A.B.L.E. is thrilled to return to Chicago Shakespeare Theater this spring! 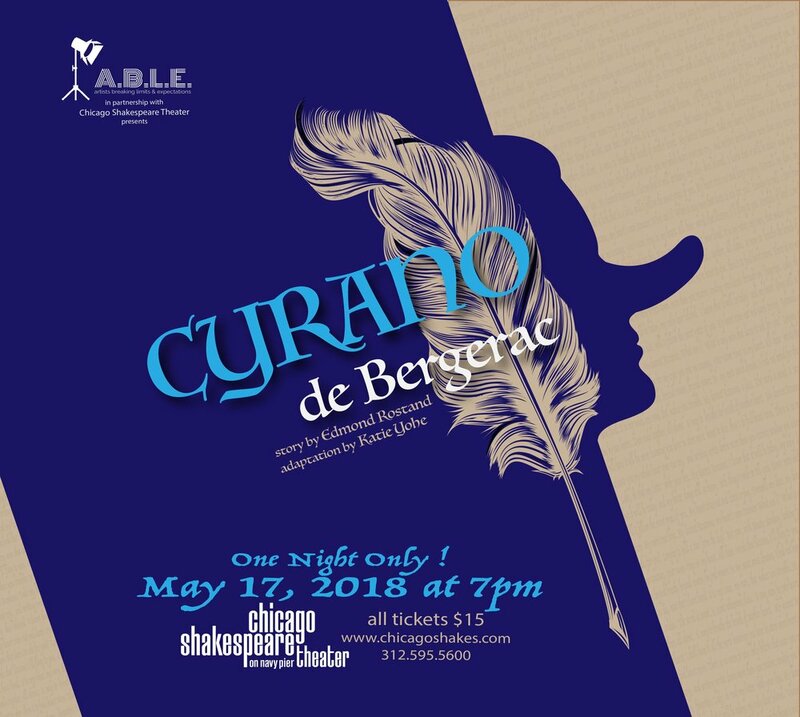 When our actor take the stage on Thursday May 17th with our adaptation of Cyrano de Bergerac, we'll be part of something truly special. We are privileged to be part of the inaugural season for CST's newest space – The Yard at Chicago Shakespeare Theater. The Yard is an innovative, world-class venue that is already winning awards and creating buzz around the industry. On today’s blog, we’ll help you learn more about this unique theater space so you can get as excited as we are! The Yard is right in the heart of Navy Pier, and adjoins CST’s existing two-theater campus. Those who have visited the pier before may remember the big, white-canopied, open-air Skyline Stage that was formerly home to Cirque Shanghai. 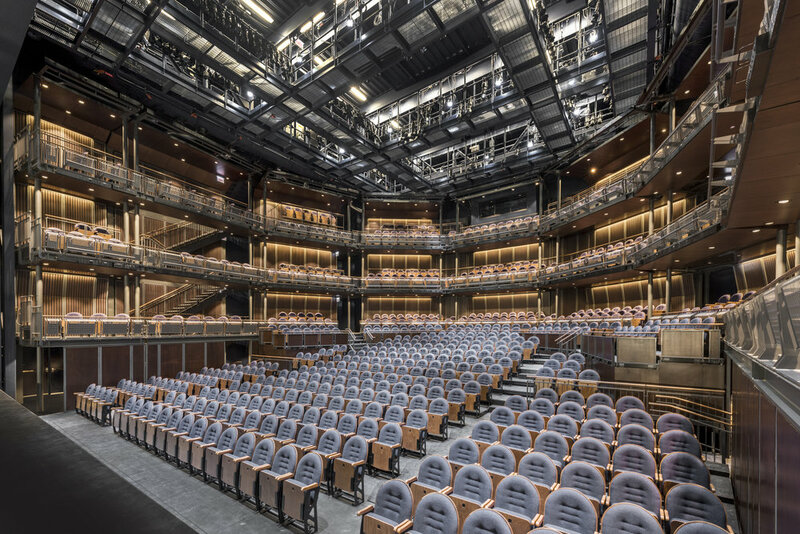 Chicago Shakespeare Theater acquired this space and began construction in March 2016. The existing stage house and backstage areas for the Skyline Stage were incorporated into the new design, but The Yard is a completely enclosed, year-round venue. The Yard was a collaboration between CST Executive Director Criss Henderson, the teambehind the forward-thinking design includes: top Chicago-based firm AdrianSmith + Gordon Gill Architecture, winner of the 2015 AmericanArchitecture award and designers of the Jeddah Tower in Saudi Arabia, soon-to-be the tallest building in the world—along with award-winning, UK-based theater consultancy firm Charcoalblue, whose projects include venues for the Royal Shakespeare Company, the National Theatre of Great Britain and St. Ann’s Warehouse in Brooklyn. Construction moved quickly with a team of 200 architects, engineers, and designers and 400 construction workers managing to complete this incredible space in just 18 months! What makes The Yard so special? The Yard is a completely flexible venue, which can be reconfigured for each production depending on the vision of the director. 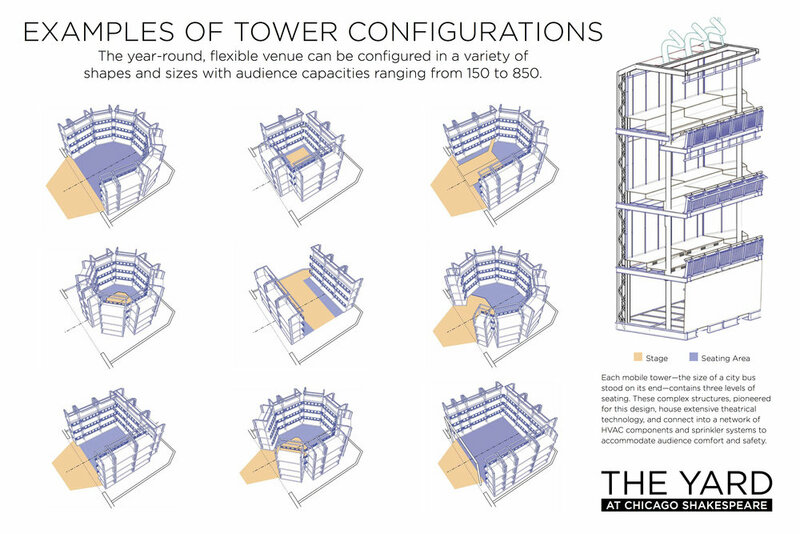 Depending on the shape and size, shows can host anywhere from 150 to 850 audience members. It’s like stepping into a different theater for every show! Wait…What? How is that possible? The Yard’s flexible design is made possible by a series of 9 seating towers. Each of these are the size of a London double decker bus flipped upright. Each tower has 3 levels that seat a total of about 50 audience members. Between productions, pneumatic air skid technology (like a hovercraft or an air hockey table) gently floats them 3/8 of an inch off the ground so these massive 35,000 pound structures can be safely moved and re-arranged by a team of just 3 people! The Yard’s towers have been pioneered especially for this design under the direction of Chicago Shakespeare’s Criss Henderson and Charcoalblue’s Andy Hayles, and fabricated by Montreal-based ShowCanada (best known for its work with Cirque du Soleil and on large-scale theatrical events like the Olympic Opening Ceremonies). These complex structures (each measuring 12’ deep x 18’ wide x 37’ tall) house extensive theatrical technology, and connect into a network of HVAC components and sprinkler systems to provide maximum audience comfort and safety. Additional modular main-floor seating risers and custom-built stage decking complete each configuration. What will The Yard look like for A.B.L.E.’s production of Cyrano? The production team at CST is allowing the A.B.L.E. ensemble to perform on top of the set for the spring production of Macbeth. It will be a proscenium style configuration, very similar to our productions at Victory Gardens Biograph Theater, but with a much bigger capacity. At over 600 seats, this will be the largest house our actors have ever performed for! Tickets will go on sale in March and are available directly from the Chicago Shakespeare Theater box office. They can be purchased online at www.chicagoshakes.com or by calling 312.595.5600. All tickets for this one-time event are $15. Seating is assigned, so we recommend booking early to get the best choice of seats. Thank you to all of our friends at Chicago Shakespeare Theater for hosting us in this special space, and especially to CST’s Public Relations Manager, Hannah Kennedy, for helping with the details for today’s post. Cover photo by Liz Lauren. Newer PostParents take a bow!